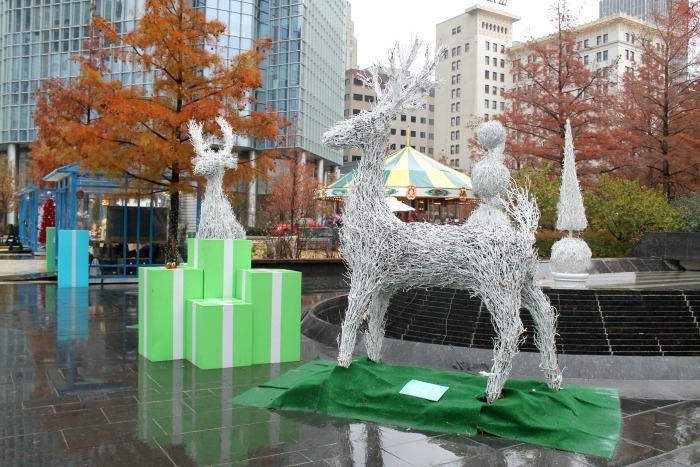 The Christmas events Oklahoma City has to offer this year are fantastic! 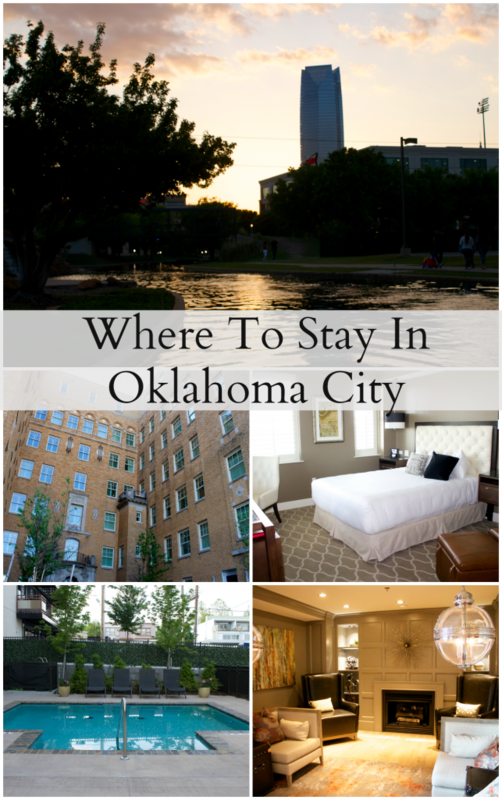 From the free water taxi rides through Bricktown to the excitement of snow tubing and ice skating in downtown OKC. There is so much to do in this beautiful city and many of these events are free and fun for the whole family. 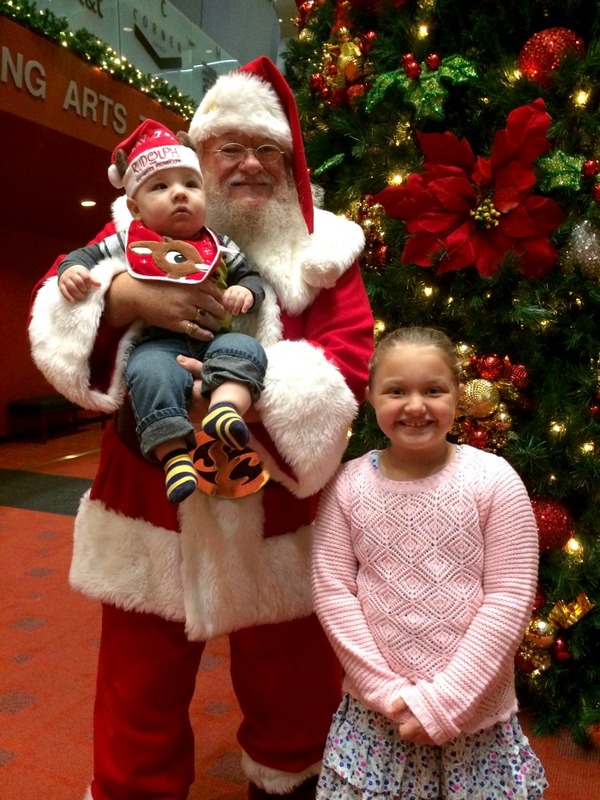 Here is my list of Top Christmas Events Oklahoma City has to offer this year. The Myriad Gardens is one of my favorite places in Oklahoma City. It’s absolutely breathtaking year round. During December the Myriad Gardens has a lot of fun (and free) holiday events that you can enjoy with the whole family. A little tip though, Be sure to bring your camera! 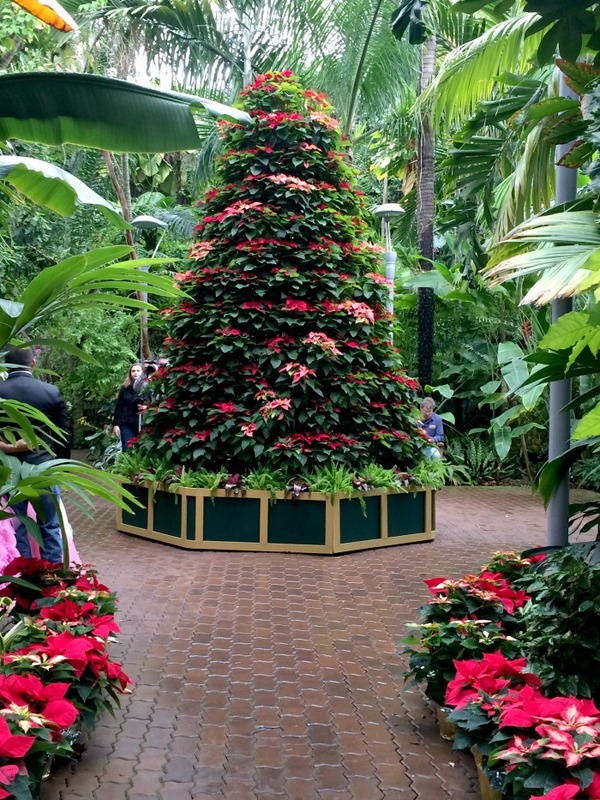 During the Saturdays with Santa, guests will be able to enjoy free admission to the Crystal Bridge along with free crafts and activities such as face painting. 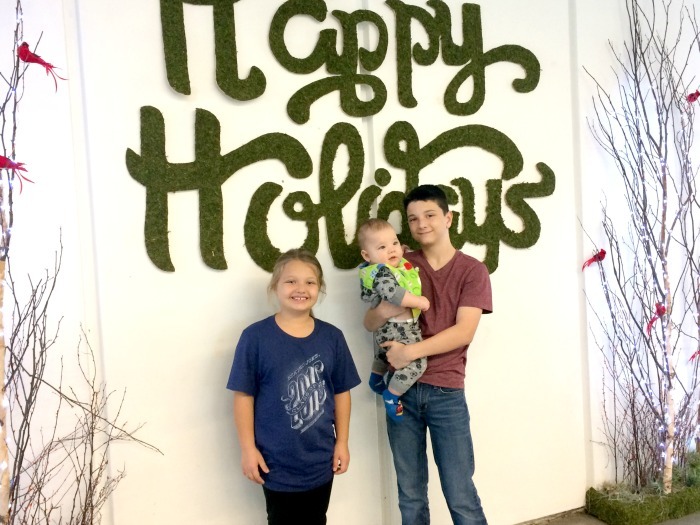 Throughout the bridge you will find beautiful floral arrangements and holiday decor which make the ultimate backdrop for holiday photos. There are also a lot of props that you can use to take photos as well. If you like to shop then you’ve come to the right place. Right outside of the Crystal Bridge you will find a great selection of outdoor boutiques with unique gift ideas. There are several shops to choose from and since it’s outside you can take your time and enjoy the beautiful holiday decor around you. As you come to the end of the shops you there is also a beautiful vintage carousel which you can ride for a very small fee. 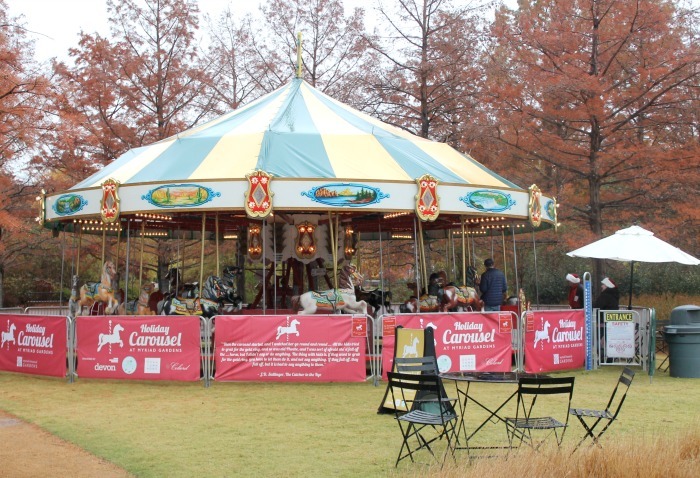 All proceeds from the Carousel will benefit the Myriad Gardens. 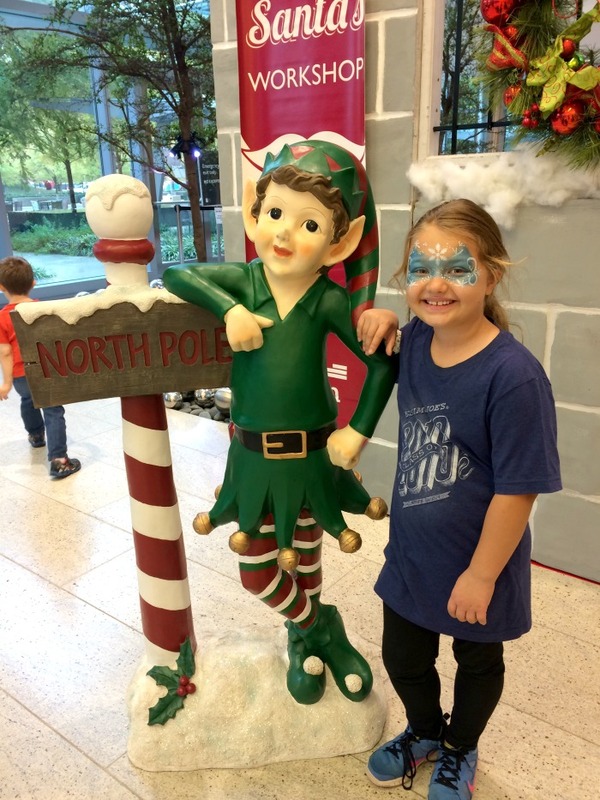 Several Saturday’s through the month of December, at Devon Energy Center, families can participate in Saturday’s with Santa. This is a phenomenal event! 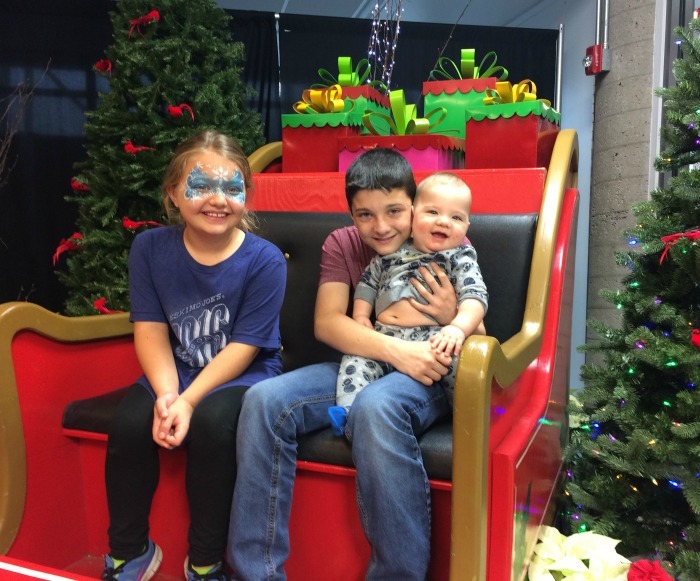 From 10 am to 4pm on select days in December, children will have the chance to visit Santa, Mrs’ Clause, as well as other characters, make crafts, ride a train, listen to live music and so much more. The best thing about this event is that it is 100% free. And there is no waiting in line to see Santa! You are put on a list and when it’s your time to go and see the big guy, they will send a text letting you know. I was so impressed with Saturday’s with Santa that we will definitely be returning to OKC every year that this event is taking place. We had so much fun as a family and this is a great family tradition we will be continuing. Nothing says winter better than an ice skating rink. There is just something very magical, especially during the holidays, when you see an Ice Rink. Right outside of the Myriad Gardens you will find the Devon Ice rink where you and the whole family can test your skating skills on the ice. The rink is located right outside so you can take in the fresh air and beautiful sites of OKC. 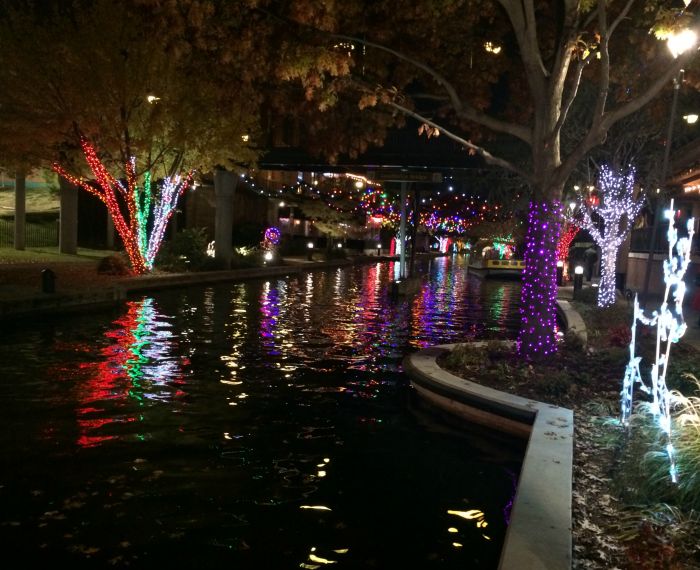 While you’re in Bricktown make sure you take advantage of the free water taxi rides that are offered on select days in December. This is a fun way to see all of Bricktown. 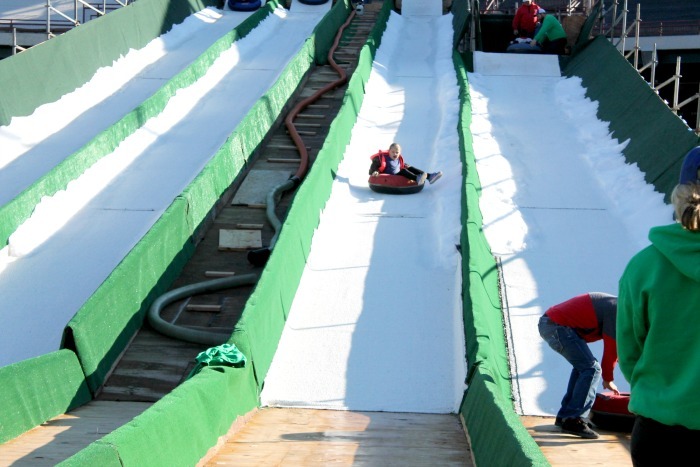 What if I told you that you could snow tube down a steep hill, even if the sun was out shining without a snow flake in the sky? Well at the Chickasaw Bricktown Ballpark you can do just that. 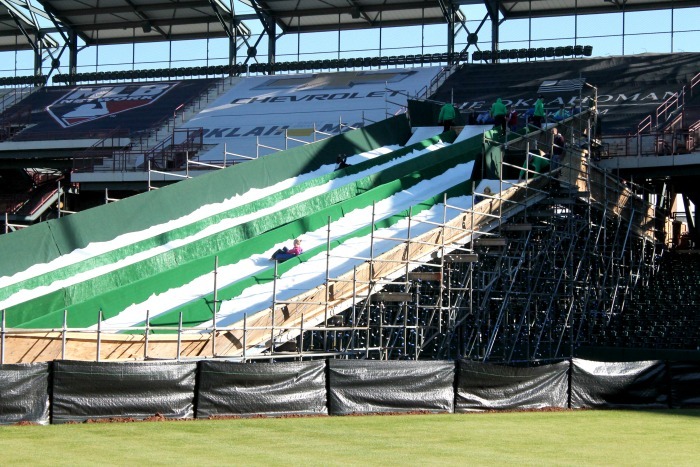 At the ballpark you will find 3 slides in total (2 higher slides and 1 smaller one for the younger crowd). Before you get to the top of the hill you are given a tube which will take you zipping down to the bottom of the hill. We had a blast snow tubing in OKC, especially the kids who must have climbed that hill 100 times in our 90 minute session. They just didn’t want it to end, and honestly neither did I. The Canterbury Christmas show is a holiday tradition in Oklahoma City. Each year the Canterbury voices put on a spectacular interactive Christmas show that features the festive sounds of bells, brass, and beautiful organ music. The audience will even have a chance to sing along to some of the holiday classics we all grew up singing. I really enjoyed this show and it features some very talented musicians and singers from the local area. After the show there is a reception where you will have your chance to take a photo with the big man himself, Santa. I’m going to be honest with you, when I first got word we were going to be seeing a showing of Lyric’s A Christmas Carol live I was a little worried. My kids have never seen a live play, so I was afraid that they would be bored out of their minds during this show. But do you know what, THEY LOVED THIS SHOW! I mean the could not take their eyes off of the stage the entire time. It actually melted my heart to see how much they were into this amazing show. Of course the actors were incredible and extremely talented. They mesmerized you and made you feel as if you were right there walking along with Ebenezer Scrooch himself. 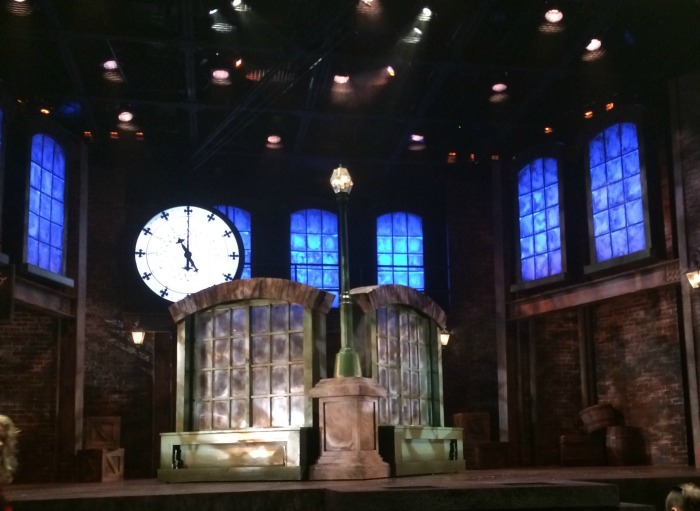 If you are on the fence whether to take your kids to Lyric’s A Christmas Carol, I would say go for it! It’s one of the best plays I have seen…in my life. And the fact that my kids loved every second of it says a lot. 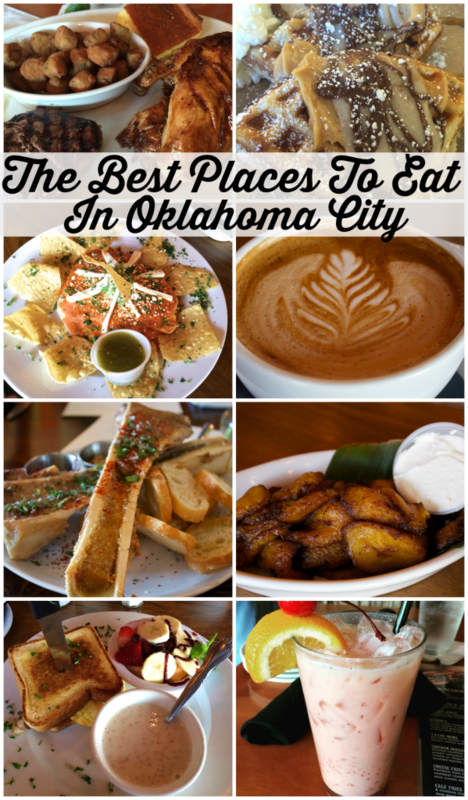 Find out more about all the great things Oklahoma City has to offer at Visit OKC.